Over new year’s, I went with my parter to visit his brother in the US. While there, I happened to go to an art store and buy some pens… which I could not fit into the – frankly too small – pencil case I had brought along. So I went back ans bought a pen roll too! 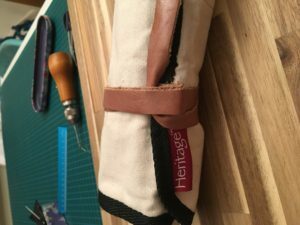 Except the pen roll was so poorly made! 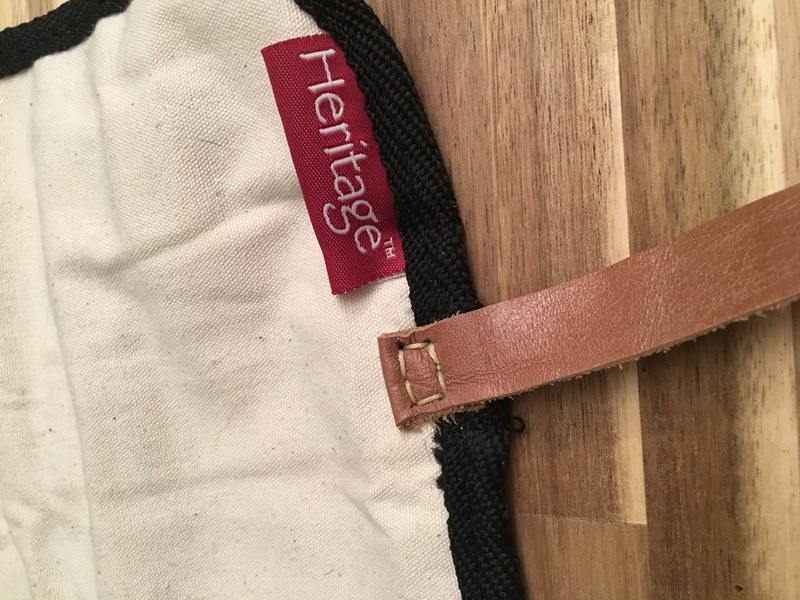 The strap felt quite unpleasant and stiff to the touch, and the button was popping off and letting the roll unroll while in my bag! There are few materials I like less than plastic trying to pass itself off as leather… yuck! 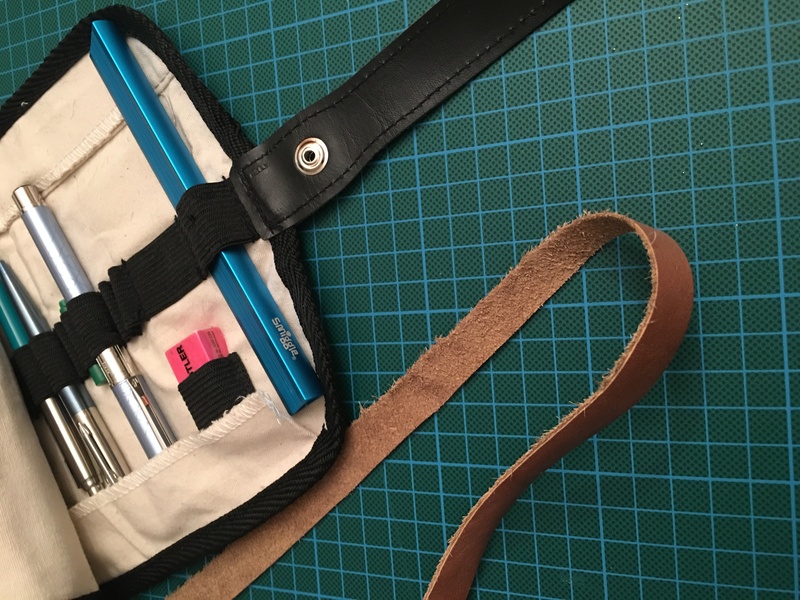 So today, as my first project of 2017, I replaced that strap with a leather one. I had a leather skin, with a convenient straight edge, which I followed to manually cut a mostly straight strap much longer than the one on the pen roll. Then I had to unpick the bad strap without damaging the pen roll! Embroidery scissors came in handy. And finally, I stitched it using a sewing awl I bought in Germany about three years ago. 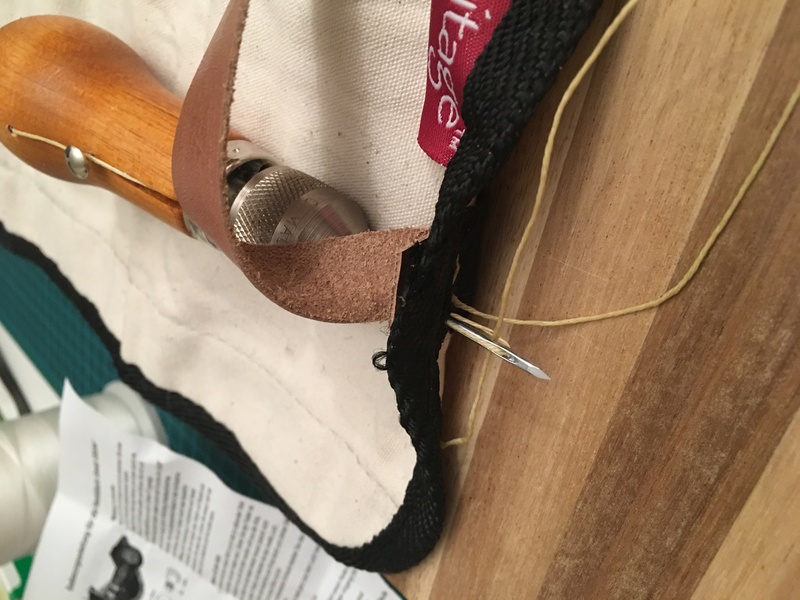 My first ever real saddle stitch!! It was very exciting and surprisingly not very difficult at all! I am glad I have a massive chopping board to hand for doing my leather work on, or the cutting mat would be looking like a needlepoint project by now!